Estudiantes de La Plata scored in last 3 away games in Superliga (Argentina). CA Tigre didn’t score in last 3 games in Superliga (Argentina). Newell’s Old Boys has under 2.5 goals in their last 3 games in Superliga (Argentina). Colon de Santa Fe lost their last 3 games in Superliga (Argentina). Colon de Santa Fe scored in last 3 games in Superliga (Argentina). Newell’s Old Boys allowed opponents to score over 0.5 goals in last 3 games in Superliga (Argentina). Colon de Santa Fe allowed opponents to score over 1.5 goals in last 3 home games in Superliga (Argentina). Estudiantes de La Plata haven’t won any of their last 7 away matches in Superliga (Argentina). Fluminense allowed opponents to score over 1.5 goals in last 5 home games in Serie A (Brazil). Parana Clube didn’t score in last 10 away games in Serie A (Brazil). Parana Clube lost their last 10 away games in Serie A (Brazil). Fluminense allowed opponents to score over 1.5 goals in last 5 games in Serie A (Brazil). 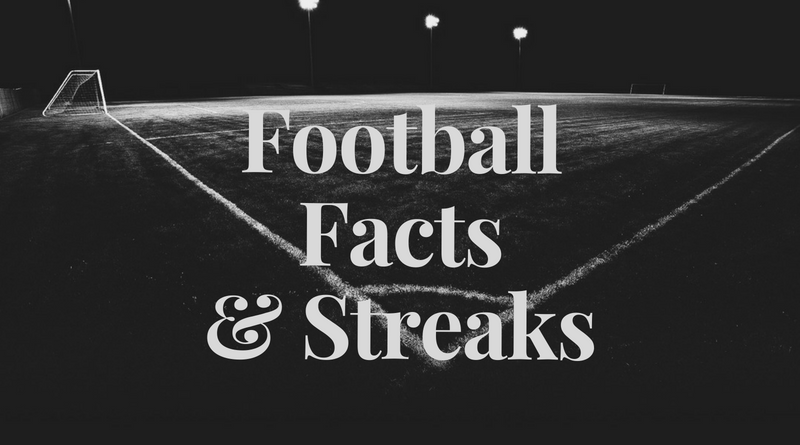 Degerfors has over 2.5 goals in their last 7 away games in Superettan. Degerfors scored in last 8 away games in Superettan. Orgryte scored in last 10 games in Superettan. Orgryte scored in last 4 home games in Superettan. Sligo Rovers conceded at least 1 goal in each of their last 8 matches in Premier League (Ireland). Sligo Rovers conceded at least 1 goal in 81% of their home matches in Premier League (Ireland). Bohemians have won their last 3 away matches in Premier League (Ireland). Sligo Rovers have failed to score in 56% of their home matches in Premier League (Ireland). 68% of Sligo Rovers’s points have been earned away in Premier League (Ireland). Sligo Rovers have scored 69% of their goals away in Premier League (Ireland). Sligo Rovers have lost 62% of their home matches in Premier League (Ireland). Sligo Rovers conceded at least 1 goal in each of their last 5 home matches in Premier League (Ireland). Seattle allowed opponents to score over 1.5 goals in last 7 home games in MLS. Seattle conceded at least 1 goal in 73% of their home matches in MLS. 67% of Houston’s matches had over 2.5 goals scored in MLS. 77% of Houston’s points have been earned at home in MLS. Houston have failed to win in their last 9 away matches in MLS.